The Middle Atlantic Products Chassis Support Brackets (20", 100 lb) are ideal for supporting heavy equipment mounted within the rack. You can easily swap-out rack-mounted equipment without attaching rackscrews. Equipment weighing up to 100 lb (45.35kg) can be supported using the chassis support brackets. Dissipation of heat from high heat-generating equipment is facilitated via ventilation support. Integrating intelligently designed angles, the support brackets support equipment until it has been safely mounted. The 20" (50.8cm) deep support brackets are provided in pairs. 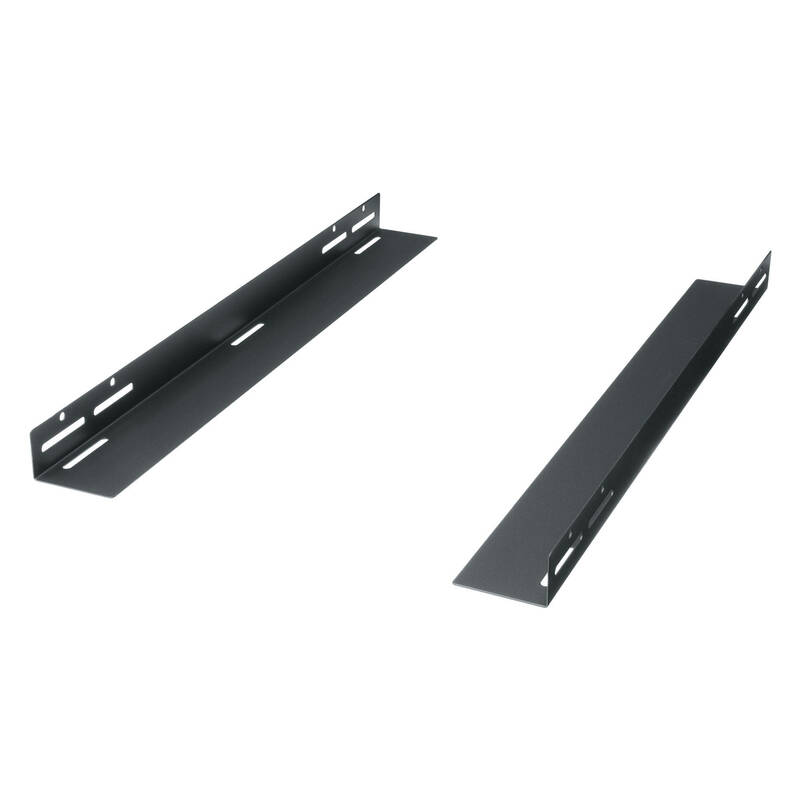 Note: These Chassis Support Angles must be attached to the Z-Rail or to a Z-Rail adapter (sold separately.) These brackets are not compatible with a standard L-shaped rackrail without certain hardware or rackrail adjustments. Compatible with MRK, VRK, VMRK and WMRK racks only. Box Dimensions (LxWxH) 20.0 x 3.1 x 1.9"